On arriving at the London airport, get an assisted transfer to your pre-booked hotel on Seat in Coach Basis. After completing the check-in formalities, spend the rest of the day in doing the activities of your interest. You are free to explore the capital of the UK and England, as per your liking. Stay overnight in London. As you have your breakfast on the second day of your tour, embark on a Double Decker bus for enjoying London’s Hop on Hop off Tour of London. 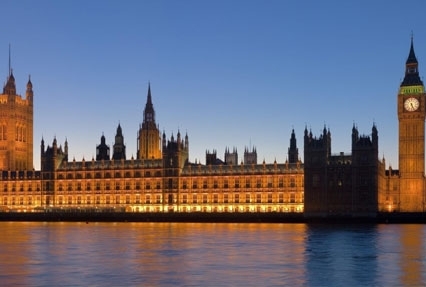 One of the major attractions of the day is the Parliament Square to visit Westminster Abbey. This beautiful Gothic church is a UNESCO World Heritage Site and is also the place where many Kings, Queens, Statesmen, poets and writers are buried. The other attractions are Big Ben and the Houses of Parliament. Stay overnight in London. After breakfast on day 3, on your own move to the London station to board the Eurostar train to Paris. As you reach make your own arrangements for going to your hotel. The day is free but in the evening, there is an amazing option of attending the very famous Lido Show. Stay overnight in Paris. On the 4th day of the tour, post breakfast, leave for exploring Paris where you will drive through the Notre Dame Cathedral and drive through Place de la Concorde, the Avenue des Champs Elysees and the Arc de Triomphe. Enjoy a visit to the 2nd floor of the Eiffel Tower and admire the superb panoramic views of Paris. Overnight in Paris. Have breakfast and move on your own to the Paris station for boarding a train for Brussels. On reaching Brussels, get transferred to your own hotel on your own and complete the check-in formalities. Thereafter, embark on the Hop on Hop off tour of Brussels, riding a Double Decker bus. You visit attractions like the Grand Place and drive past the Congress Column, St. Michaels cathedral and the Heizel district. Overnight stay in Brussels. As you have breakfast on day 6, make your own arrangements to reach the Brussels station to board a train to Amsterdam where after reaching, you move to your hotel on your own. After completing the check-in formalities, leave for exploring the historical centers of Amsterdam including Anne Frank’s House and The Van Gogh Museum. Stay overnight in Amsterdam. After breakfast, go on to the Amsterdam station on your own and board the train for Cologne, an extremely popular city of Germany which is well-known for its landscape, art, church, historical importance and more. After completing check-in formalities at the hotel on your own, you can spend the rest of the day in exploring the city. 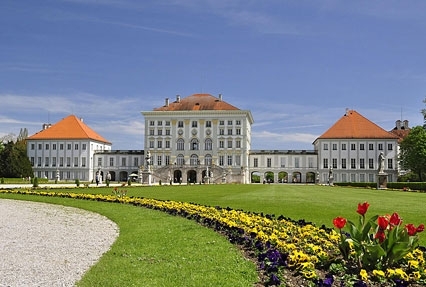 You may visit attractions like NS Dokumentationszentrum, Wallraf-Richartz-Museum, Chocolate Museum, Praetorium and more. Stay overnight. As you have breakfast on the 8th day, get transferred to Cologne station on your own to board your train to Munich. Upon arriving, check- in your hotel on your own. Spend the rest of the day in exploring the city on your own. You can indulge in the activities of your interest. Stay overnight in Munich. On the 9th day of the tour, after breakfast, get ready for Hop on Hop off tour of Munich by going aboard a Double Decker Bus. During sightseeing, you visit attractions like the Palace of Nymphenburg and the Olympic grounds to explore Sea Life and the BMW museum. Stay overnight in Munich. Post breakfast on day 10, make arrangements on your own to arrive at the Munich station and board a train for Lucerne via Zurich. On arrival, proceed to your hotel on your own and complete the check-in formalities. Spend the rest of the day in doing the activities of your interest. Stay overnight in Lucerne. After you relish your breakfast, leave your hotel for a short trip to Mt Titlis. 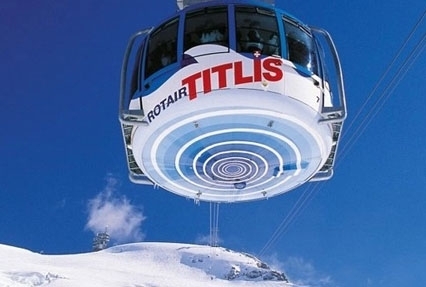 To have an amazing 360 degree view of the snow-covered peaks of the Alps, take a ride in ROTAIR- the first revolving cable car in the world. You spend some great moments here. Overnight stay. On day 12 of the tour, have breakfast and go to the Lucerne station on your own so that you can board a train for Interlaken, located between Lake Thun and Lake Brienz. After you finish the check-in formalities at your hotel on your own, the rest of the day is at leisure where you can indulge in activities of your interest. Overnight stay in Interlaken. After breakfast, today you leave for an excursion to Jungfraujoch -The Top of Europe. At an altitude of 3454 meters, this is the highest altitude railway station of Europe. From the two intermediate stations, you are going to have a great view of the snow covered surroundings. Stay overnight in Interlaken. After breakfast on day 14, go to the Interlaken station on your own for boarding a train to Venice via Milan. Once you reach, complete the check-in by proceeding to the hotel on your own. The rest of the day is free to relax or explore the nearby places on your own. The evening is scheduled for a Gondola Ride on the canals while feeling the Venice vibe. Overnight in Venice. After breakfast, you leave your hotel for spending half a day in exploring the 3 popular islands of Murano, Burano and Torcello, each having its own specialty. Spend the rest of the hours according to your liking. Stay Overnight. Have breakfast at the hotel and proceed to the Venice station on your own for boarding the train to Florence where once you reach, make your own arrangements for getting transferred to your hotel. 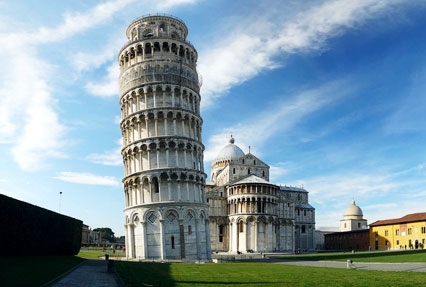 Post lunch in the afternoon, leave for an excursion to Pisa. Enjoy a great view of riverside along the way, and on arrival, have to Piazza dei Miracoli that includes the Leaning Tower, the Cathedral and the Baptistery. Overnight stay. After having breakfast on day 17, go on your own to the Florence station from you board a train to Rome. Upon arrival, check- in at your hotel. Spend the rest of the day in doing the activities of your interest- exploring the nearby locations on-foot, shopping at the famous markets, tasting the local renditions and more. Stay overnight in Rome. After savoring breakfast in the morning, leave your hotel room for visiting the major attractions of Rome that include the Colosseum (an outside view), the monument of Victor Emmanuel, the Roman Forum and so on. Feel the vibe of Rome, a city with a lot of historical importance. Overnight stay. After having breakfast at the hotel on the tour’s last day, check- out from your hotel and get transferred to the Rome Airport (on SIC basis) to board a flight for your onward destination.